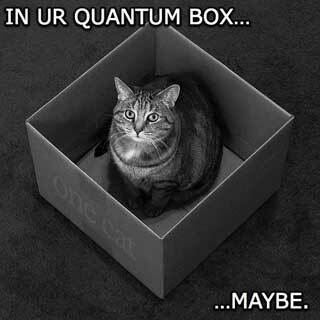 You may recognize Schroedinger's lolcat. Does the Bard use end rhyme in his sceme? I will not try to answer that. Instead I'll leave you with lolcats. Are we to pick one Macbeth question and one Poetry question, or can we do two Macbeth questions and two poetry questions? If you need more info, ask Eric. He read the book.